The BFA are delighted to introduce the UK Team for the 2015 Individual AIDA Pool World Championship in Belgrade, Serbia (www.aidapoolworldchampionships.com). The competition will run from 21st to 27th June and we are sending a team of 9 athletes, three of whom hold Wild Cards* (which means they ranked top ten in the world for one or more of the three pool competition disciplines), they are: Alice Hickson, Beci Ryan, Georgina Miller, Lucelle Simms, Rebecca Coales and Shirley Turner for the women and Adam Drzazga, Jason Kirkpatrick and Jay Cluskey for the men. The UK Team are all self-funded and to help them perform their very best they are being generously supported by sponsors Divesangha (www.divesangha.com), Bounce Energy Balls (www.bouncefoods.com) and Beet-it (www.beet-it.com). Bounce Energy Balls (www.bouncefoods.com) are an amazingly convenient and tasty way to nourish your body, satisfy your hunger and sustain your energy. Bounce Energy Balls are a special combination of high quality proteins, carbohydrates, vitamins, minerals and essential fats. After a freediving session, recovery is of great importance and the Bounce Energy Balls have all the necessary ingredients to help our athletes do so. This is the second year running that Bounce have supported our athletes and we are pleased to have them back this year. Beet-it (www.beet-it.com) uses 100% natural ingredients and the Beet-it Sport shot juice drink delivers a dose of 0.4g dietary nitrates per shot. The beetroot juice shots are now the preferred delivery method used by research teams to boost nitric oxide (NO) levels in the blood. 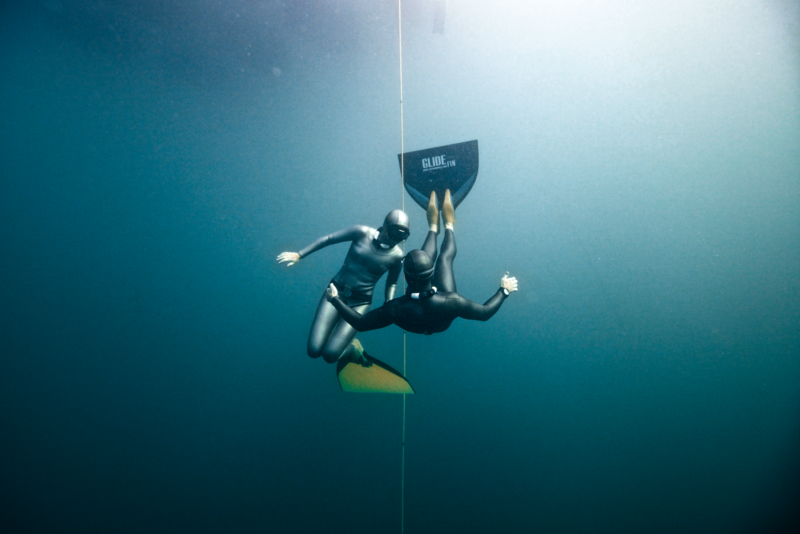 Nutrition is extremely important to freedivers and we are excited to see how the Beet-it Sports range of drinks and bars, boost and prepare our bodies before an apnea session. It is brilliant to have Beet-it back as a sponsor for the team this year.